At this moment I expect this code run on server and produce simple 'Hello World!' html. As we promised, we will finish our journey.. This is the final part. If you interested in ASP.NET 4, we recommend you to try HostForLife.eu. We will give the best service at an affordable price. You can start with our lowest price € 3.00/month to host your ASP.NET 4 site. One of the core features of WF, since WF3, has been that it is lightweight enough to be hosted in any .NET application domain. Because the runtime can execute in different domains and may need customized execution semantics, various aspects of the runtime behaviors need to be externalized from the runtime. That is where workflow extensions come into play. Workflow extensions enable you as the developer writing the host code, if you so choose, to add behavior to the runtime by extending it with custom code. Two extension types that the WF runtime is aware of are the persistence and tracking extensions. The persistence extension provides the core functionality for saving the state of a workflow to a durable store and retrieving that state when it is needed. The persistence extension shipping with the framework includes support for Microsoft SQL Server, but extensions can be written to support other database systems or durable stores. In order to use the persistence extension, you must first setup a database to hold the state, which can be done using the SQL scripts found in %windir%\Microsoft.NET\Framework\v4.0.21006\sql\<language> (e.g. c:\windows\microsoft.net\framework\v4.0.20506\sql\en\). After creating a database, you execute the two scripts to create both the structure (SqlWorkflowInstanceStoreSchema.sql) and the stored procedures (SqlWorkflowInstanceStoreLogic.sql) within the database. Persistence enables the host to support long running processes, load balance instances across hosts and other fault tolerant behaviors. However, once the workflow instance has completed, the state in the database is often deleted as it is no longer useful. In a production environment, having information about what a workflow is currently doing and what it has done is critical to both managing workflows and gaining insight into the business process. Being able to track what is happening in your application is one of the compelling features of using the WF runtime. While the base activity library includes a rich palette of activities for interacting with services, objects, and collections, it does not provide activities for interacting with subsystems such as databases, email servers, or your custom domain objects and systems. Part of getting started with WF4 will be to figure out what core activities you might need or want when building workflows. The great thing is that activities are composable so as you build core units of work, you can compose them into more coarse grained activities that developers can use in their workflows. - Activity – used to model activities by composing other activities, usually defined using XAML. - CodeActivity – a simplified base class when you need to write some code to get work done. - AsyncCodeActivity – used when your activity perform some work asynchronously. - NativeActivity – when your activity needs access to the runtime internals, for example to schedule other activities or create bookmarks. When you create a new activity library project, or when you add a new item to a WF project and select the Activity template, what you get is a XAML file with an empty Activity element in it. In the designer, this presents itself as a design surface where you can create the body of the activity. To get started with an activity that will have more than one step, it usually helps to drag a Sequence activity in as the Body and then populate that with your actual activity logic as the body represents a single child activity. You can think of the activity much like you would a method on a component with arguments. On the activity itself, you can define arguments, along with their directionality, to define the interface of the activity. Variables that you want to use within the activity will need to be defined in the activities that comprise the body, such as the root sequence we mentioned previously. As an example, you can build a NotifyManager activity that composes two simpler activities: GetManager and SendMail. If you determine that your activity logic cannot be accomplished by composing other activities, then you can write a code based activity. When writing activities in code you derive from the appropriate class, define arguments, and then override the Execute method. The Execute method gets called by the runtime when it is time for the activity to do its work. In our last post, we talk about a developer’s introduction to Windows Workflow Foundation (WF4) in .NET 4 Beta. Now, we will continue our journey.... Here we go!! Now that we have covered the core concepts around Activity and data flow, we can create a workflow using these concepts. 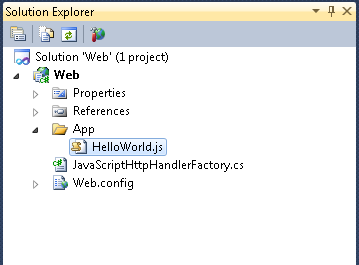 We will start with a simple hello world workflow to focus on the concepts rather than the true value proposition of WF. To start, create a new Unit Test project in Visual Studio 2010. In order to use the core of WF, add a reference to the System.Activities assembly, and add using statements for System.Activities, System.Activities.Statements, and System.IO in the test class file. With any programming language, you expect to have core constructs for defining your application logic. When using a higher level development framework like WF, that expectation does not change. Just as you have statements in .NET languages such as If/Else, Switch and While, for managing control flow you also need those same capabilities when defining your logic in a declarative workflow. These capabilities come in the form of the base activity library that ships with the framework. In this section, we will give you a quick tour of the activities that ship with the framework to give you an idea of the functionality provided out of the box. When moving to a declarative programming model, it is easy to begin wondering how to do common object manipulation tasks that are second nature when writing code. For those tasks where you find yourself working with objects and needing to set properties, invoke commands or manage a collection of items, there are a set of activities designed specifically with those tasks in mind. 1. Assign : Assigns a value to a location – enabling setting variables. 2. Delay : Delays the path of execution for a specified amount of time. 3. InvokeMethod/InvokeMethod<T> : Invokes a method on a .NET object or static method on a .NET type, optionally with a return type of T.
5. AddToCollection<T> : Adds an item to a typed collection. 6. RemoveFromCollection<T> : Removes an item from a typed collection. 7. ClearCollection<T> : Removes all items from a collection. 8. ExistsInCollection<T> : Returns a Boolean value indicating if the specified item exists in the collection. When defining business logic or business processes, having control of the flow of execution is critical. Control flow activities include basics such as Sequence which provides a common container when you need to execute steps in order, and common branching logic such as the If and Switch activities. The control flow activities also include looping logic based on data (ForEach) and Conditions(While). Most important for simplifying complex programming are the parallel activities, which all enable multiple asynchronous activities to get work done at the same time. 3. ForEach/ForEach<T> : Iterates over an enumerable collection and executes the child activity once for each item in the collection, waiting for the child to complete before starting the next iteration. ForEach<T> provides typed access to the individual item driving the iteration. 4. If : Executes one of two child activities depending on the result of the condition (expression). 5. Switch<T> : Evaluates an expression and schedules the child activity with a matching key. 6. Parallel : Schedules all child activities at once, but also provides a completion condition to enable the activity to cancel any outstanding child activities if certain conditions are met. 7. ParallelForEach/ParallelForEach<T> : Iterates over an enumerable collection and executes the child activity once for each item in the collection, scheduling all instances at the same time. 8. Pick : Schedules all child PickBranch activities and cancels all but the first to have its trigger complete. The PickBranch activity has both a Trigger and an Action; each is an Activity. When a trigger activity completes, the Pick cancels all its other child activities. When designing Flowchart workflows there are several constructs that can be used to manage the flow of execution within the Flowchart. These constructs themselves provide simple steps, simple decision points based on a single condition, or a switch statement. The real power of the Flowchart is the ability to connect these node types into the desired flow. 1. Flowchart : The container for a series of flow steps, each flow step can be any activity or one of the following constructs, but to be executed, it must be connected within the Flowchart. 2. FlowDecision : Provides branching logic based on a condition. 3. FlowSwitch / FlowSwitch<T> : Enables multiple branches based on the value of an expression. 4. FlowStep : Represents a step in the Flowchart with the ability to be connected to other steps. This type is not shown in the toolbox as it is implicitly added by the designer. This activity wraps other activities in the workflow and provides the navigation semantics for the next step(s) in the workflow. It is important to note that while there are specific activities for the Flowchart model, any other activities can be used within the workflow. Likewise, a Flowchart activity can be added to another activity to provide the execution and design semantics of a Flowchart, within that workflow. This means you can have a sequence with a several activities and a Flowchart right in the middle. One of the major focuses in WF4 is tighter integration between WF and WCF. In terms of workflows, that means activities to model messaging operations such as sending and receiving messages. There are actually several different activities included in the framework for messaging, each with slightly different functionality and purpose. 1. Send/Receive : One way messaging activities to send or receive a message. These same activities are composed into request/response style interactions. 2. ReceiveAndSendReply : Models a service operation that receives a message and sends back a reply. 3. SendAndReceiveReply : Invokes a service operation and receives the response. 4. InitializeCorrelation : Allow for initializing correlation values explicitly as part of the workflow logic, rather than extracting the values from a message. 5. CorrelationScope : Defines a scope of execution where a correlation handle is accessible to receive and send activities simplifying the configuration of a handle that is shared by several messaging activities. 6. TransactedReceiveScope : Enables workflow logic to be included in the same transaction flowed into a WCF operation using the Receive activity. Writing reliable systems can be difficult, and requires that you do a good job of handling errors and managing to keep consistent state in your application. For a workflow, scopes for managing exception handling and transactions are modeled using activities with properties of type ActivityAction or Activity to enable developers to model error processing logic. Beyond these common patterns of consistency, WF4 also includes activities which allow you to model long running distributed coordination through compensation and confirmation. 1. CancellationScope : Used to allow the workflow developer to react if a body of work gets cancelled. 2. TransactionScope : Enables semantics similar to using a transaction scope in code by executing all child activities in the scope under a transaction. 3. TryCatch/Catch<T> : Used to model exception handling and catch typed exceptions. 4. Throw : Can be used to throw an exception from the activity. 5. Rethrow : Used to rethrow an exception, generally one that has been caught using the TryCatch activity. 6. CompensableActivity : Defines the logic for executing child activities that may need to have their actions compensated for after success. Provides a placeholder for the compensation logic, confirmation logic, and cancellation handling. 7. Compensate : Invokes the compensation handling logic for a compensable activity. 8. Confirm : Invokes the confirmation logic for a compensable activity. In order to execute a workflow, you need an Activity that defines the workflow. There are two typical ways to get an Activity that can be executed: create it in code or read in a XAML file and deserialize the content into an Activity. The first option is straightforward and I have already shown several examples. To load a XAML file you should use the ActivityXamlServices class which provides a static Load method. Simply pass in a Stream or XamlReader object and you get back the Activity represented in the XAML. Once you have an Activity, the simplest way to execute it is by using the WorkflowInvoker class as I did in the unit tests earlier. The Invoke method of this class has a parameter of type Activity and returns an IDictionary<string, object>. If you need to pass arguments into the workflow, you first define them on the workflow and then pass the values along with the Activity, into the Invoke method as dictionary of name/value pairs. Likewise, any Out or In/Out arguments defined on the workflow will be returned as the result of executing the method. We provide an example of loading a workflow from a XAML file, passing arguments into the workflow and retrieving the resulting output arguments. Notice in this example that the Activity is loaded from a XAML file and it can still accept and return arguments. The workflow was developed using the designer in Visual Studio for ease, but could be developed in a custom designer and stored anywhere. The XAML could be loaded from a database, SharePoint library, or some other store before being handed to the runtime for execution. Using the WorkflowInvoker provides the simplest mechanism for running short-lived workflows. It essentially makes the workflow act like a method call in your application, enabling you to more easily take advantage of all the benefits of WF without having to do a lot of work to host WF itself. This is especially useful when unit testing your activities and workflows as it reduces the test setup necessary to exercise a component under test. Another common hosting class is the WorkflowApplication which provides a safe handle to a workflow that is executing in the runtime, and enables you to manage long running workflows more easily. With the WorkflowApplication, you can still pass arguments into the workflow in the same way as with the WorkflowInvoker, but you use the Run method to actually start the workflow running. At this point, the workflow begins executing on another thread and control returns to the calling code. Because the workflow is now running asynchronously, in your hosting code you will likely want to know when the workflow completes, or if it throws an exception, etc. For these types of notifications, the WorkflowApplication class has a set of properties of type Action<T> that can be used like events to add code to react to certain conditions of the workflow execution including: aborted, unhandled exception, completed, idled, and unloaded. When you execute a workflow using WorkflowApplication, you can use code similar to that shown in Figure below using actions to handle the events. In this example, the goal of the host code, a simple console application, is to notify the user via the console when the workflow completes or if an error occurs. In a real system, the host will be interested in these events and will likely react to them differently to provide administrators with information about failures or to better manage the instances. Always stay with us…. Don’t go anywhere!! We will continue the final part..